I don’t know about you, but once December hits I get SUPER pumped about all things snow!! My snow dance is strong. This time of year, we definitely have snow around but don’t always have enough snow for things like skiing, snowshoeing and sledding, including this year. 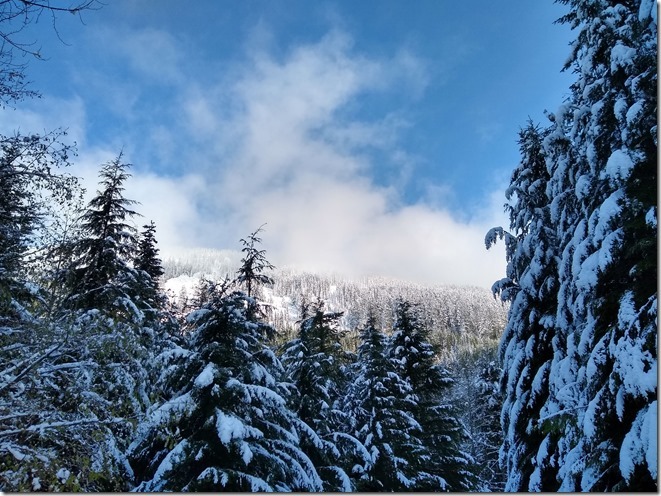 I went to scope the snow at Snoqualmie pass this past weekend and while there is some snow for sure, not enough for skiing and snowshoeing close to town, though the next big storm will change that! This weekend looks like it might start to bring in a bit of snow so this will probably all change very soon! Sunday looks like it will start to bring in some snow! If you’re looking to get out all winter, taking advantage of snow is key. We already covered getting started with Snowshoeing and we will cover getting started with cross country skiing in the near future. And, remember that you can always do one of these hikes that are awesome any day of the year, any season. Keep in mind that the ideas below are specific to the conditions at the time of writing, and will change from year to year on the same date, as well as day to day right now. In general these are good ideas for early season snow (which could be anytime in November and December, most years). So, where can I play in snow now near Seattle?? Here you go! Paradise, Mt Rainier National Park: It’s a longer drive and the snowplay/sledding area is not open yet (there needs to be sufficient snow coverage to protect the fragile meadow), it typically opens mid to late December (but depends on snowfall). Meanwhile you could still enjoy walking around Paradise and probably even justifiy putting snowshoes on! Stevens Pass: The ski area is also not open yet, but you could enjoy a hike on the Pacific Crest trail from the parking lot, including some snow frolicking and possibly enough for snowshoeing! Crystal Mountain: If you want to get downhill skiing, a few runs are already open at Crystal Mountain! 2019 Washington State Scenery Calendar: OA 2019 Calendar now available!